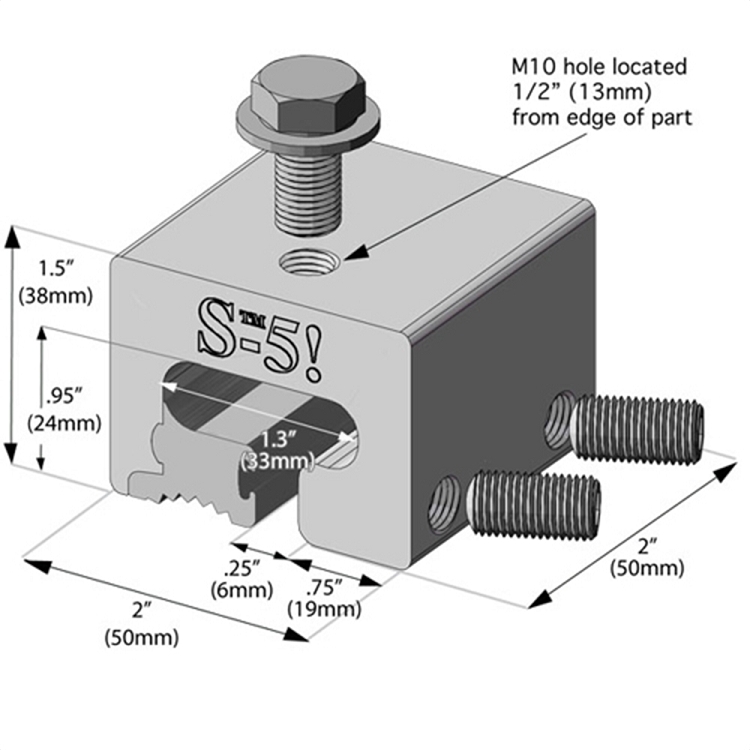 The S-5-T clamp is specially developed to fit profiles having a "T" shaped seam configuration. 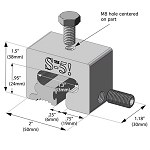 It will also work on architectural "single-fold," or "angle-seam" profiles having a horizontal projection of 5/8" or less. Its two-piece design allows it to be easily installed anywhere along the length of the panel seam.